Historically, Ethiopia was ruled by successive emperors and kings, with a feudal system of government. In 1974 the military took over the reins of rule by force and administered the country until May 1991. Currently, the former guerrilla group have been ruled the country with absolute dictatorship and its administrative system is ethnic based federalism (1-13). Millions of Amara have been subjected to ethnic cleansing and genocide in different parts of the Ethiopia for the last 25 years. Reports showed that during the last 25 years the ruling TPLF regime and its cohorts have committed various gruesome human rights violations against members of the Amara (Amhara) ethnic group in Ethiopia (5, 7-8). In 1976, the Tigray People’s Liberation Front (TPLF) that is currently ruling Ethiopia crafted its Greater Tigray Manifesto. TPLF claimed in its political program as a struggle against “Amara and imperialism” and labelled the Amaras as staunch enemies of the Tigray people, it is generally assumed that the opposition to TPLF’s apartheid-style rule would come from the Amara ethnic group. The manifesto called for transforming the northern Ethiopian region of Tigray in to an independent country through expansionist policies. For Greater Tigray to become a reality, TPLF decided that they have to take control of the central government in Ethiopia and systematically dismantle the country (5-8). Since coming to power, the TPLF has unlawfully incorporated and forcefully annexed parts of North Gondar and North Wollo districts of the Amara regional state into Tigray region. The total numbers of counties which have been taken over from North Gondar are five: Welkait, Tsegede, Tselemt, Setit and Tach Armachiho. Raya and Qobo district of North Wollo, with all its counties, has also been taken over by TPLF and incorporated to Tigray region. Once the TPLF took control of these districts, it has carried out systematic genocide and ethnic cleansing on the indigenous Amara people, who lived there for generations (5, 6-8). Ethiopian Information Service Network, Moresh Wogene Amara Organization and other humanitarian organizations were documented and reported the large scale genocide of innocent Amaras and other Christians by TPLF (Tigray People Liberation Front), OLF (Oromo Liberation Front) and OPDO (Oromo Peoples Democratic Movement) members in Arsi, Wolega, Harergi, Jimma and Illibabur region of southern Ethiopia in 1991. According to these reports in the six districts located in Arba Gugu sub-province of Arsi and in Bedeno sub-province of Harergi Administrative region, thousands of Amaras and other Christian homes have been razed and burnt down to ashes, thousands of human lives have perished; property worth millions of Birr has been destroyed. Based on eye witness accounts and video evidences, amaras and other Christians have been slaughtered like animals; the breast of women were cut and these very women victims forced to roast or grill their breast by TPLF,OLF and OPDO members. Countless atrocities have been perpetrated (5, 7-8). Eritrean people Liberation Front (EPLF) along with the OLF forces were also instrumental in the genocide of more than 300 innocent Amaras in Assosa in January 1990. There are reports of Ethnic cleansing targeting Amaras in the present day Eritrea after EPLF took control of Asmara (5, 6-8). At a hearing testimony to the country rubber stamp Parliament by Miss Samia Zekaria, Director of the Central Statistical Agency, she had publicly admitted that between 1994 and 2007, about 2.5 million Amaras have been systematically unaccounted for in the 2007 census result. This amounts to 5% of the national population and 4% of the Orthodox Christian population of 2007. 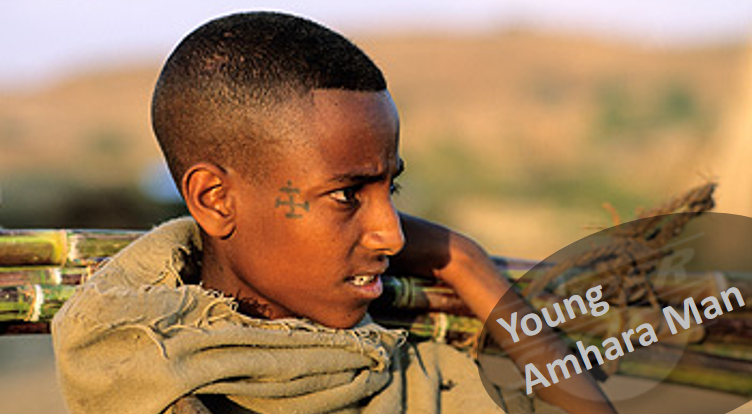 The Amaras are one of the two linguistic groups which together account for the majority of the Ethiopian population with the Oromo/Amara ratio being 29%/28% in 1984 and 32%/30% in 1994. This ratio, however, showed a precipitous rise in 2007 to 34%/27% which begs a satisfactory explanation that is yet to be provided by the census authorities. As a direct consequence of this finding, the TPLF parliament has reduced the annual budget allocation to the Amara regional state, which further complicates the very survival of the Amara people. According to eye witness accounts of the survivors, the number of Amaras removed from their livelihoods and eliminated during the last 24 years could soar up to about 6 million (5,7-9). Stopping of the ongoing massacre and genocide against the Amara people. Release of opposition members and other political prisoner including journalists, allowing for broad participation in the political process by opposition groups, free of intimidation. Efficient economic reforms, reducing dependence on foreign aid and pushing forward development. The current large scale genocide against the Amara people will continue with different forms and tactics. Support from the United States, and the international community’s avoidance of Ethiopia’s internal struggles, will continue the status quo with the government ruling by suppressing opposition where necessary. Current political structure will continue to exacerbate ethnic tensions. Tensions between ethnic groups can turn into insurrections. Ethiopia Fact Book.https://www.cia.gov/library/publications/the-world-factbook/geos/et.html (accessed 06 December 13). EthiopiaOverview. http://www.worldbank.org/en/country/ethiopia/overview (accessed 06 December 13). Berhanu Abegaz Three Million Amara are Missing: An Analysis based on the 1994 and the 2007 Ethiopian Population Censuses. Ethiopia famine aid ‘spent on weapons’. http://news.bbc.co.uk/2/hi/8535189.stm (accessed 06 December 13). The Telegraph. Millions of Ethiopian famine aid used to buy weapons. http://www.telegraph.co.uk/news/worldnews/africaandindianocean/ethiopia/7359324/Millions-of-Ethiopian-famine-aid-used-to-buy-weapons.html (accessed 06 December 13). Evelien Thieme Groen & Carolien Jacobs. Ethiopia Risk Mapping. http://www.cordaid.org/media/publications/Ethiopia_risk_mapping_20120130_ETG.pdf (accessed 06 December 13).